Many people ask: "How to increase the conversion of website?" but they are looking for a completely wrong way to solve this problem. Customers often turn to marketing consultants with a request to increase traffic on the site. To achieve better conversion they are willing to pay a lot of money. But it doesn’t solve the problem, it provides only a temporary result. In such cases we advise to pay attention to the design of your website. If the design of the site is not focused on achieving better conversion, neither traffic nor marketing will help you. Just think about it. 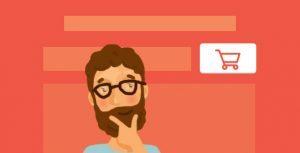 If you have a stream of visitors to the website and they will not buy anything, then what’s the point? We believe that marketing has a solid relationship with the design. Working with websites these are two components that take effect and will bring results. In order to achieve the conversion, design and marketing should be taken into account in equal parts. As an example of design disregard we can see in marketing work, where consultants work on the traffic, but eventually products are still not in demand. And if you want to make people buy, then listen to the following advice. So, let’s sort out the fact why design is a step ahead the traffic. All products that are not unique, unattractive, not stylishly designed can lead to the fact that your website will not be profitable. Such websites will have high bounce rates and will not be appreciated by both: the visitors and potential investors. Have you ever paid attention to how the site design of large corporations changes? They do so in accordance with the predominance of a particular style in the fashion world. In order to be successful – you need to have the ability to change, you should be in progress and become better. All these have a direct bearing on the site and design. We will never go back to those things that we don’t like. Doesn’t matter what others say, but the first impression plays a significant communication role in real life and on the internet. Human nature resides that we always choose products and items according to our taste. We buy what we like, we pay attention to people who are nice to us, even at home we always try to freshen up our houses, to make them more comfortable and modern. Your website design needs to express something. You’ll never buy a product, which design has been created in Adobe Photoshop CS2. Website design should be advanced, it should bear some idea, it should say something. People often buy product not because its usability and benefits, but because of the design. People want to share it with friends, show their taste and style. There are a lot of sites that cost tens and hundreds of thousands dollars but still are not popular without conversion. It could happen due to the wrong accent was taken on design. If the website design primary stages weren’t aimed at achieving the best conversion, the ultimate result would be sad. Your website can have a pretty picture, but it doesn’t mean absolutely anything if it doesn’t meet the customer’s requirements. If you want to have a positive result – listen to the good designer’s comments, because all their work is focused on the conversion and the positive response from customers. When choosing a design, you shouldn’t forget about how it will affect your business. Therefore, listening to the designers’ comments, you should always think objectively, weigh all pros and cons during the website design selection. You should clearly understand that if you do not properly take into account marketing and design relation, all your efforts will be in vain. Here are some tips that you can use during the new site design, application, game, template, and so on development. Do not focus on your version of the project design. Be objective, listen to the opinion of experienced designers and visitors’ comments on other sites. Keep in mind that the design of your website should be effective, it should have a clear goal: promotion and product ad for the purpose of further sale, website conversion and real buyers attraction. When choosing your website design, you need to study all the modern websites design trends. You should focus on the positive feedback from the customer, your site needs to be eye-catching. Of course, the content is no less important, but the design is, to some extent, a reflection of your will. How do you feel about the design of your product and your website reflects your attitude to your project. It shows how much attention, time and effort you give your product that equally means the quality of your services as a whole. At BestWebSoft we can create unique and goal-oriented design for your website or product. Since 2009 we have successfully completed over 600+ projects. Our team help businesses thrive with effectively crafted experiences. We create solutions that drive traffic and convert visitors to help your business grow. We focus on you.